An Appellate Court in Wisconsin has sided with two landlords there by determining that they were not liable for injuries a small child received when he was attacked by the tenants’ Pit Bull. However, the outcome of this particular case would not have changed because of that language, it could be difficult for a landlord to enforce, depending on how broadly or narrowly the provision is read. The injured boy’s parents told the court that having this lease provision, and not enforcing it, makes the landlords liable for their son’s injuries. But the Wisconsin courts have previously created a public policy exception to what is a general rule in many states –that landlords are liable for dog bite cases. 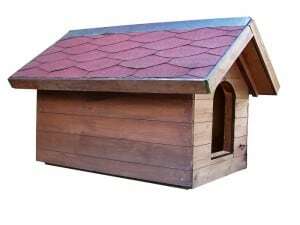 In Wisconsin, the landlord is only liable if the animal in question belongs to the landlord or is under their control. Being in control of the rental property is not enough to show control over the dog. The reason for this public policy decision is that if the court allows liability for a case like this, then there is “no sensible or just stopping point” for liability against landlords. In Wisconsin, the law does not require a landlord to “fill the role of an insurer” for the acts of a tenant. An additional concern was that plaintiffs might spend private and public resources in pursuing cases against landlords, who are on average more wealthy than tenants, on dubious theories of liability instead of pursuing tenant dog owners, who are on average less wealthy, but who have the best opportunity to prevent injuries. Under Wisconsin statutes, the dog’s owner in strictly liable–meaning liability is presumed. Previously, judges have expressed fear that landlord liability in this context would have drastic results, such as encouraging landlords to preclude all of their renters from having dogs for fear of liability. It’s important to note that the reasoning of this court is not followed in all states, and landlords outside of Wisconsin may see a different outcome in dog bite cases.